Good morning! Have you ever used Class Dojo? If you haven't, you definitely need to go to their FREE site and watch some of their promotional videos. I've been using it for about 4 years-- and every year my kids LOVE it! 1. I begin each Monday by clearing out student points (everyone starts fresh at 0). 2. I hand out points throughout the week based on behavior. 3. On Friday afternoons I hand out fake "Dojo Dollars" to match point value. For example, if John Doe earned 12 points that week, he gets $12. 4. Students can trade in Dojo Dollars for fun/free rewards on my reward posters (which I post in a bulletin board in my room). 5. I keep track of weekly points earns using a little excel chart with student names. I love the Dojo Dollars because it doesn't require me to constantly keep track of/subtract points. Plus they love the feeling of going "shopping"! I always tell my kids-- if you lose your money I can't repay them-- to hold them more responsible. 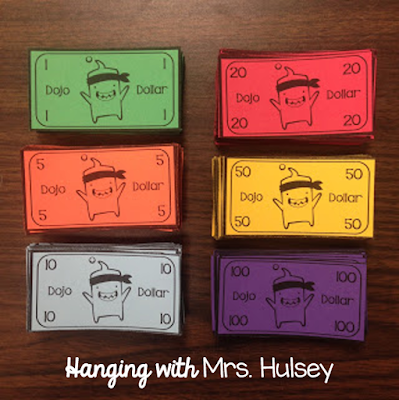 Here are my Dojo dollars-- all ready to go! 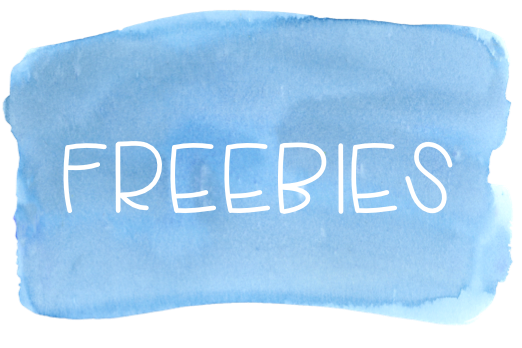 Click the pictures below to purchase your own set of templates and design to your fancy! Hope you can utilize these items in your classroom and make management more exciting and fun! 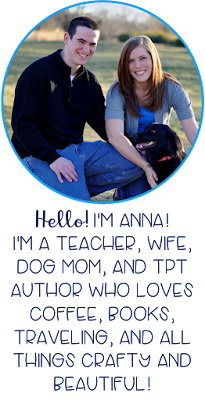 I use it and so do some of the encore teachers! We can "share" our dojo with other members and they can pull it up for consistency. Easy for subs to use too! I used class dojo with my second graders and I loved it!!! I am excited to try it this year with my 5th graders and I am excited to use the new class dojo group feature. I use Class Dojo in my third grade classroom, but I don't think I use it to its full potential. Fingers crossed that I win the Class Dojo resources!!!! I love that Class Dojo is continuing to change and add new features and that you can change the "point" headings - Homework, No homework, etc. I have played with it, but need to really start using it. The Dojo Dollars idea is genius! 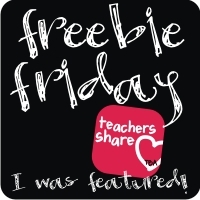 I have so many teacher friends that need that product! I have a question. If you reset the bubbles, how do you later access the totals they would have accumulated? I'm new to this. Love it. Thank you. I use dojo and this sounds like it will make it more fun for the students! I am interested to know how you find out how many points a student has earned altogether if you clear it each week. I just found this out! If you click on each individual student's story and select "see more," you should see the "donut." There is a drop down menu to choose from on the left and the very last option is "all time." I'm hoping they come out with a way to see ALL student's all time points in one spreadsheet. Hope this helps! Is it difficult to keep track of their points weekly? Do you just keep track of the points gained each week or do you also subtract when they spend money? Sorry if my questions is confusing! 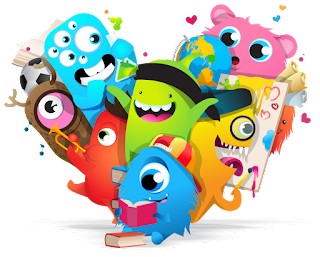 I am really excited about using class dojo! I don't find it difficult to keep track. At the end of the week I'll just add their weekly total to the number on the back of their debit card (or pay them the appropriate amount in fake money)-- then when they buy something they either pay with their fake money or we will subtract it from their total on the backs of their cards (great way to review subtraction!) I hope this helps explain a little better!